How to save Outlook emails as HTML files? 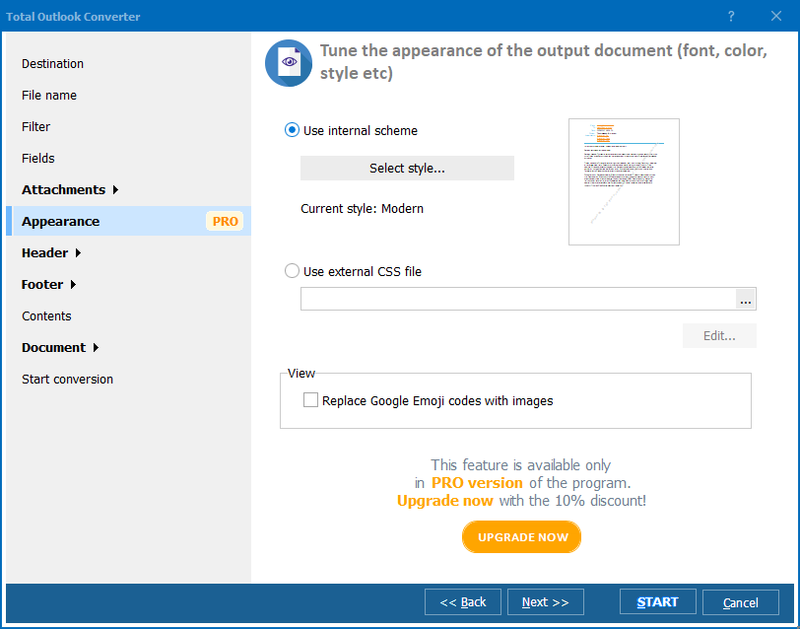 You are here: CoolUtils > Total Outlook Converter > How to save Outlook emails as HTML files? It is impossible to convert emails to TXT format by standard program meanings. MS Outlook supports export only to DOC and XLS. 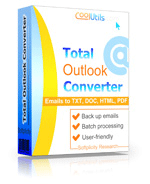 If you want to convert Outlook emails to text files, you will need Total Outlook Converter. This program helps in creating TXT copies of original messages, exporting them from native PST file. Open Total Outlook Converter and connect Outlook.pst file in the dialogue window. This is a batch mail processor, and this means you can convert all required messages together. This makes it much less stressful than exporting each message to TXT separately. 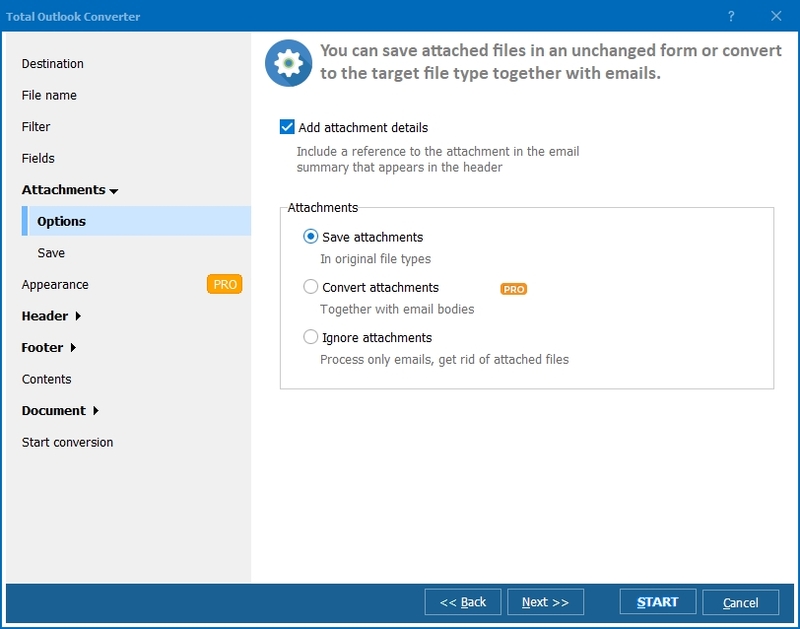 You can combine all mails to one TXT or create a TXT file out of each original email. In case of creating separate text files, you can set file name template. Provided settings for TXT format contain ability to extract only certain fields instead of the entire mail. For instance, you can save only a message body to TXT. Also this Outlook converter can export attached messages to texts. This way you can be sure that all mail history will be saved to the TXT copies for local use. 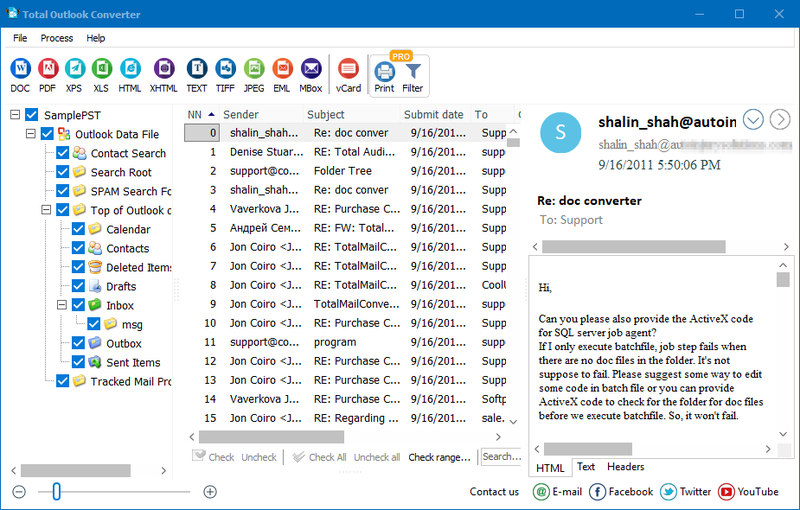 Total Outlook Converter reads PST files and able to export messages from them to TXT, DOC or PDF. You can try these conversions for free by using a trial version. Get it here!